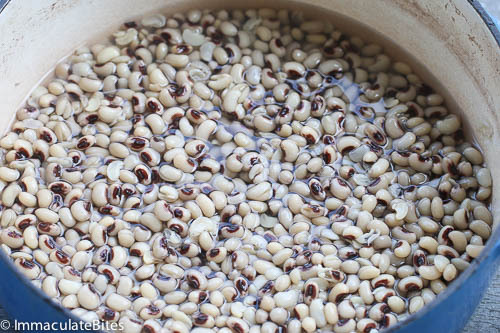 Here, in the United States, black- eyed peas are best known, especially in the south, as a good luck and prosperity meal. 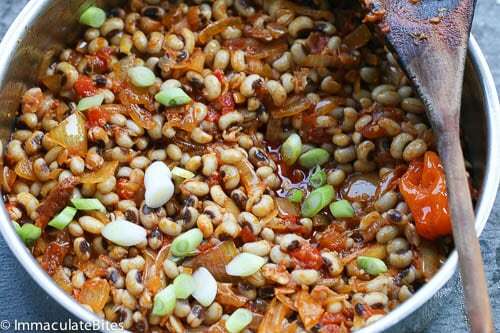 In Africa, it is an everyday, year round meal, used in all forms- ground, dried, fresh and a good source of protein. And may I add it is very affordable . 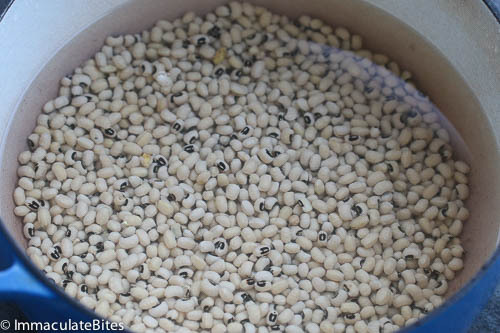 If you are unfamiliar with black-eyed beans, they are delicious little white beans with a mild taste and smooth texture- what I like most, is their meaty flavor and texture-they really do have a bite to it, compared to other beans. 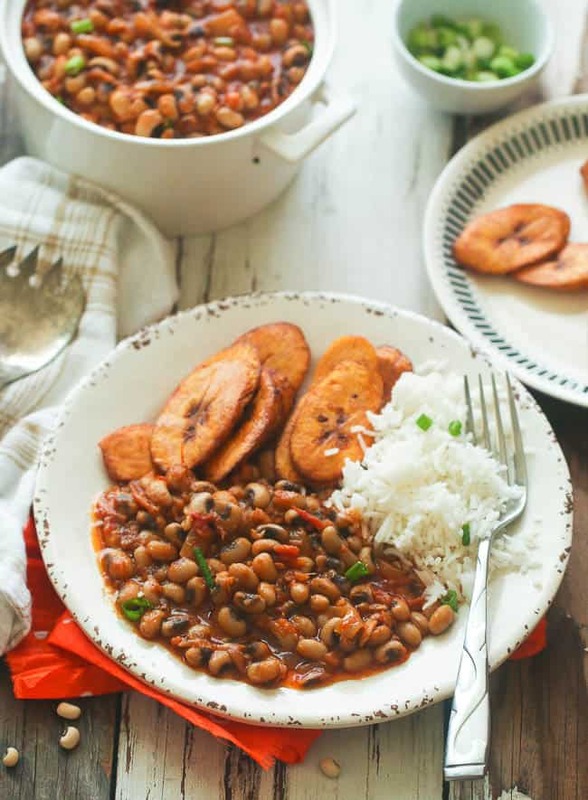 Lately, there has been more interest in them and so many home cooks and chefs are making use of these beans transforming them into exquisite meals. 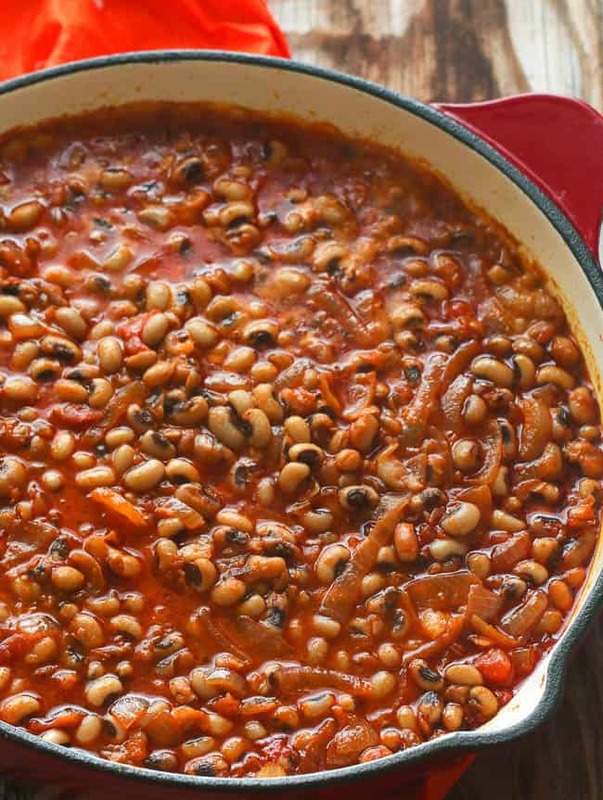 Here is a variation on this rustic yet flavorful use of these beans- known as Red Red. 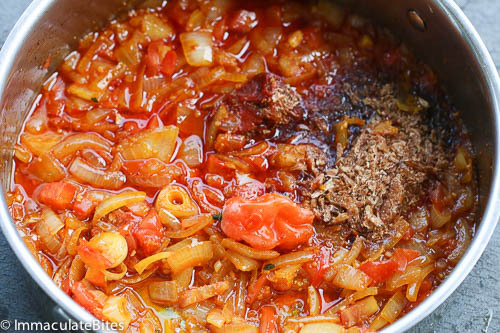 Red Red is a simple tomato stew that is enjoyed widely through out Ghana. Don’t quote me on this, rumor has that, it’s name is derived from combining red palm oil and tomato sauce. You see, these beans always make everything better for me- especially after a rough week. 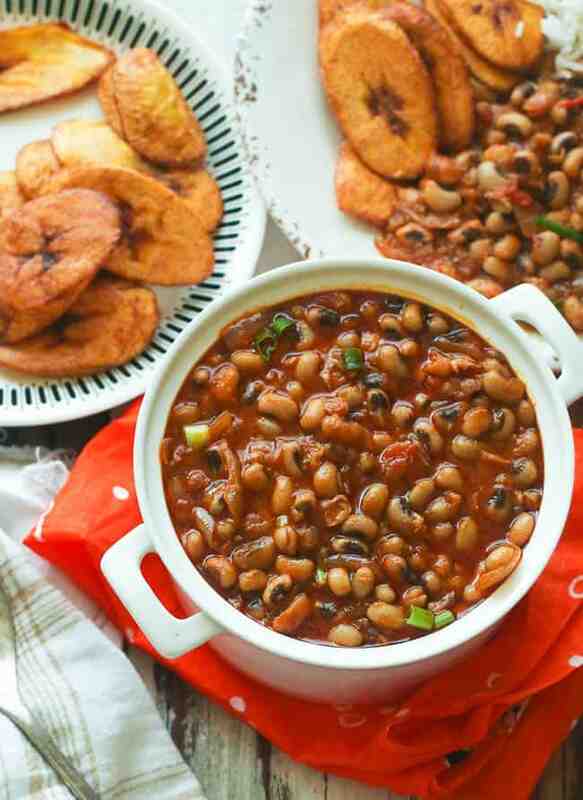 I make them eat for breakfast with puff puff(one of my all time comfort breakfast) and serve it with fried plantains for lunch. When am on a health kick, I grill or roast plantains. I so wasn’t on one this weekend, ANYTHING greasy I just had to have. 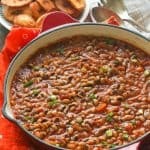 While I absolutely love smoked meat or fish in my beans; Yes, truly do- most often is more about the flavor these proteins add to the meal rather than the meat itself. I thought it would to a good idea to make this without any smoked meats, which is customary. However, if you have crayfish (dried shrimp) do include them to make up for the loss of the smoky flavor. A trick I do all the time is to use smoked paprika to add that smoky flavor to my food, when I can’t get a hold of smoked meat. Believe me, sometimes getting a hold of smoked meats is like searching for a needle in a haystack or paying with an arm and a leg. Ah! I am not willing to shed out that amount of money all the time ! Just for special occasion . 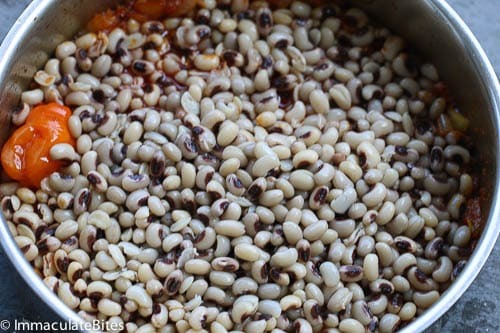 Can’t find or don’t like Black eyed peas? 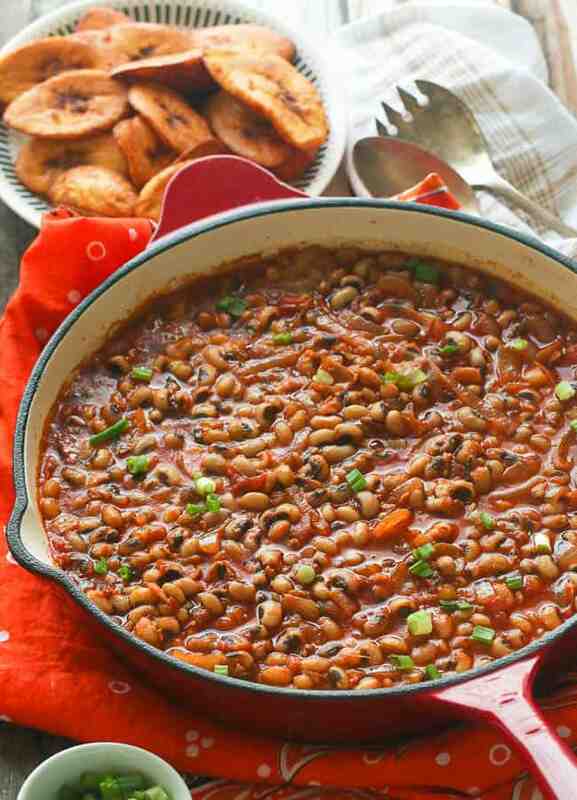 No worries, you could make these with black, red or any other types of beans. Don’t forget to adjust cooking times and flavors. Enjoy!!! 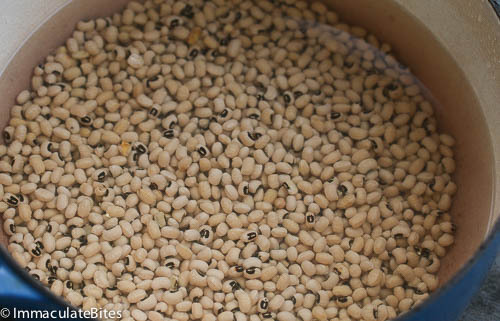 Rinse dry black-eyed pea beans and pick through and discard any foreign object. (I did not have to do this because I used the package beans,). Add beans to a large pot covering with 3-4 inches of cold water. 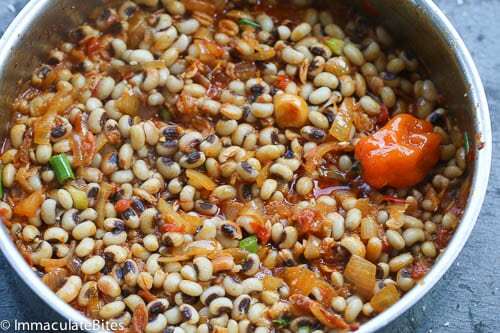 If using canned beans you should start from here. Heat oil (palm and canola) in large saucepan over medium heat until hot. 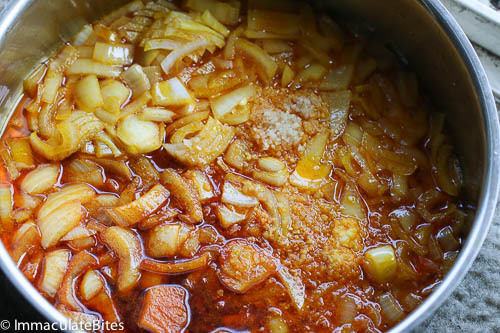 Sauté the onions in the oil for 3-4 minutes, stirring often and scraping any browned bits off the bottom of the pot. Finally add the beans, green onions and the remaining stock/water and bring to a boil and simmer for another 10-15 minutes. Adjust for seasonings, and beans consistency with water and serve.